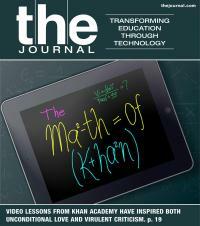 The Khan Academy videos made a stir when they arrived on the educational stage. But are they a paradigm shift or an old model in new clothes? Architect and educator Peter Lippman explores how best to design spaces in which students can work together. We look at how a number of districts are engaging students using social media tools including blogs, message boards, and Twitter. Students who search for broad terms on the Internet can be deluged by useless or offensive information. The Learning Resource Metadata Initiative looks to provide parameters that educators can use to make search more relevant to learning. Geoff Fletcher of SETDA looks at Smarter Balanced's newly released technology standards for assessment, and offers his own group's standards for instruction. An app is in currently in development for iPad/iOS and Android tablets.